Click the Custom Animation button. 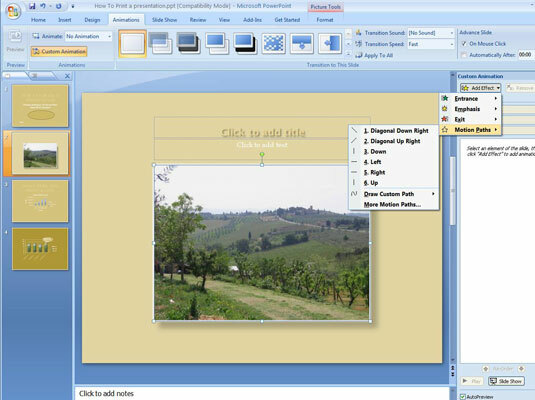 The Custom Animation task pane opens. 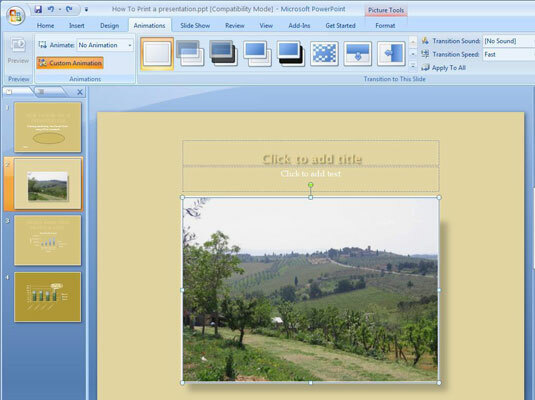 Select the element on your slide that you want to move during the presentation. Use motion paths in conjunction with effects that enlarge or shrink elements. The sight of an element crossing a slide as it gets larger or smaller is a nice sight indeed and one that will impress your friends and your enemies. There are many effects to choose from. 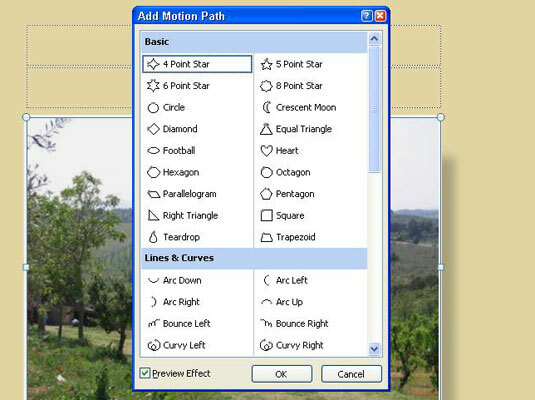 Select Motion Paths on the drop-down list. You see a submenu of motion paths. 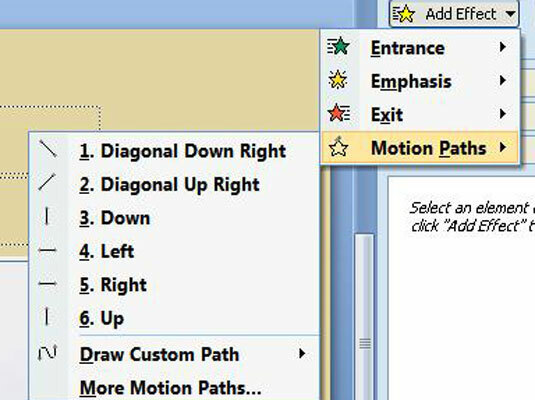 Select a motion path on the submenu, or select More Motion Paths and choose a path in the Add Motion Path dialog box. 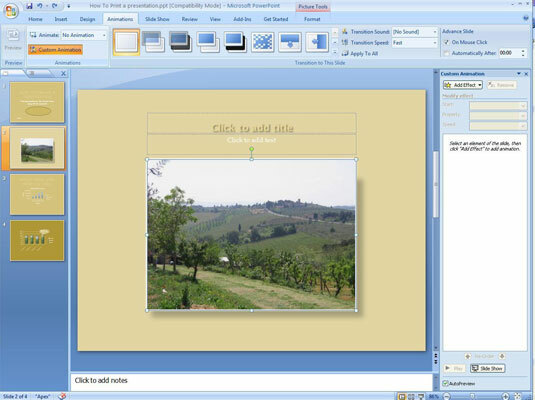 PowerPoint places an arrow on either end of the motion path. The green arrow shows you where the motion begins, and the red arrow shows where it ends.